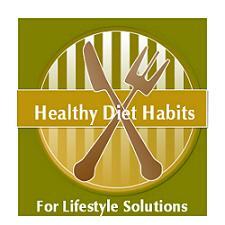 This page will bring you some of my favorite Soups and Stews Recipes, as well as Healthy Stir Fry Recipes. There is an opportunity for you to share your favorite recipes below, and have your recipe become part of my site. Soups, Stews, Stir Fries and Sauces (The 4 S’s), are my favorite go to meals of choice, because the more veggies that you add, the better they taste. You can also easily play the "stealthy healthy game" with these meals, if you have picky kids. The pickier they are, the more pureed it becomes! A great blender purees veggies into a delicious sauce that no one will recognize as vegetable. The beauty of vegetable full recipes is they are nutritious, and a great Lifestyle Solution, if you want to lose a bit of weight! Soups - Soups should be a staple meal in every home. Make a huge pot of a soup once a week, and you have a great dinner, and lunches for the rest of the week. 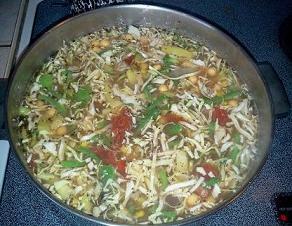 Soups are a quick meal if you use pre-done fresh or frozen vegetables, rotisserie chicken, and beans. Veggie soups can also be the starter to your dinner meal. Quick, filling and delicious! Stews also can be made full of vegetables. Add fresh herbs, and you are set. Pair a stew with a fresh salad! See my Super Salad Meal Chart for some ideas! Stir Fries - Stir fries are my favorite meal of choice. As long as you keep tons of fresh veggies, and herbs in your home, you will always be able to whip out an amazing meal in less than 30 minutes. The key to stir fries is to cook each vegetable separately, because they all cook at different rates. Add them all back together in the end to warm, and enjoy the crunchy goodness! Sauces - Sauces are the easiest way to cheat and disguise vegetables. You can make amazing vegetable spaghetti sauce by blending zucchini and spinach in your sauce, among other veggies. My son actually said he can’t figure out why my sauce always tastes better than his, when we use the same Trader Joe’s sauce. I will never tell! Meals that are ready made for extra veggies like these Soups, Stir Fries, and Stews Recipes are healthy diet habits that everyone should adopt. Please share your healthy soup, stew, stir fry, and sauce recipes below: especially vegetable laden ones, that are low in fat. If your family loves a recipe that is healthy, others will enjoy it too! If there is a way to make your recipe healthier by making substitutions, then I will make suggestions when I review YOUR recipe! Your Recipe will be turned into it's own web page on our site, and your friends, family, and other visitors to our site, can make comments and review your recipe. Have A Great Healthy Stew Recipe to Share? Do you have a great Healthy Stew Recipe? TIP: Include your ingredient list first, and then your instructions. Do you have some pictures or graphics to add of YOUR Healthy Stew Recipe? Great! Click the button and find the first one on your computer. Select it and click on the button to choose it.